HAPPY BABA MARTA (Chestita Baba Marta!) Lots of happiness, health and luck! 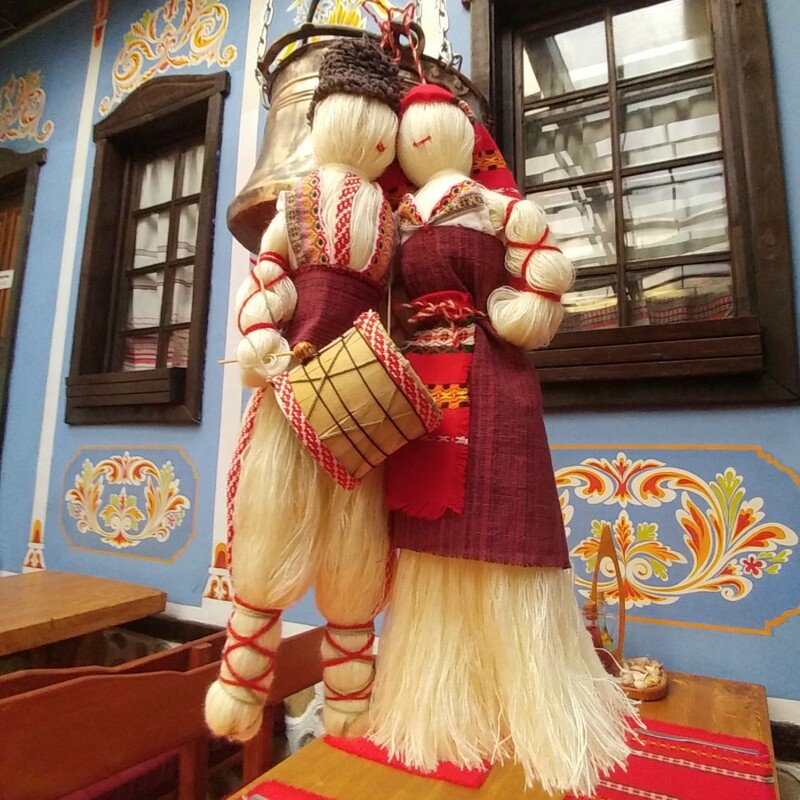 Since ancient times on the 1-st of March all Bulgarians give each other martenitsi - twisted red and white threads. This is a tradition with a long, long history with roots in Thracians times that is still alive. It is connected with first signs of coming spring and the awakening of nature.People tie martenitsi on their wrists or pin them on their clothes wishing good health, prosperity and luck.Martenitsi are put on the doors of the houses, on the trees in the garden and even on the animals at the farm. It is the oldest woman in the family who prepares them. With lots of love she interlaces cotton, silk or woolen threads. The woman ties the first martenitsa on the hand of the youngest girl in the house. Then she gives a martenitsa to every family member. Bulgarian ruler Khan Kubrat had five sons and one daughter – Huba. His last will was his sons to live and rule together and not to divide the country into pieces, but after his dead they separated the kingdom and were defeated. The youngest son Asparuh led his people to the south west and founded new kingdom at the place of contemporary Bulgaria. He sent good news to the imprisoned Huba by his hunt falcon. She escaped end following the falcon by white thread on its leg at last found her brother. During the way the bird was wounded and the white thread was parboiled with blood. The happy king Asparuh met his sister and from this moment he used white-red threat as symbol of health, happiness and strong connections between bulgarian people. The date was first of March 681 A.C.